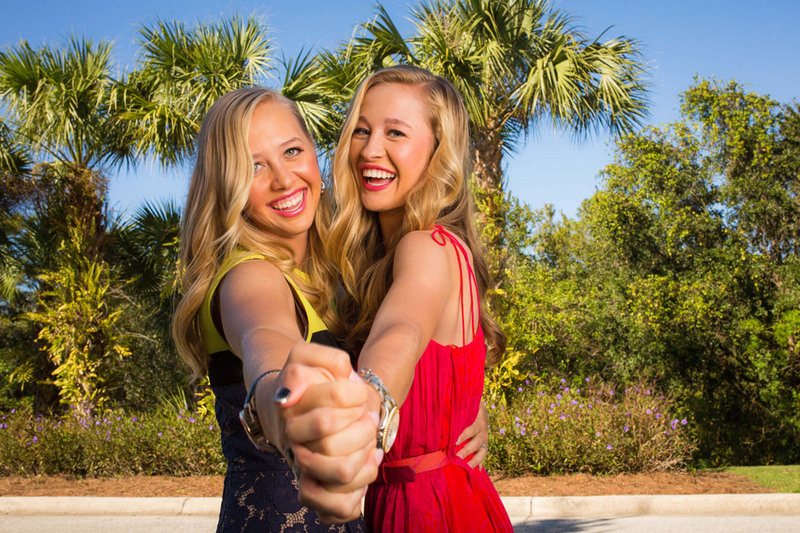 Meijer LPGA Classic For Simply Give, Preview, Pairings, and More! Congratulations go out to Brooke Henderson for winning the KMPG Women's PGA Championship. Click here for a full recap of that tournament. This week the LPGA travels to the state of Michigan for the playing of the Meijer LPGA Classic For Simply Give. This will be the third year year that this tournament is on the LPGA schedule. Many may remember last year's nail biting finish, when Lexi Thompson shot a final round 65, to come out one stroke better than Gerina Piller, and Lizette Salas. 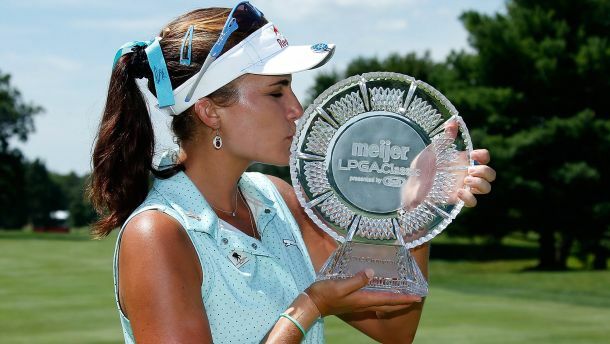 Lexi Thompson's fabulous final round 65, brought her the 2015 Meijer Classic trophy. This will be tournament #17 of 33 on the 2016 LPGA Schedule. My strength of field rating is a very solid 69.5%, up from 59% last year. Thirty-nine of the top 50 players from the LPGA Priority List, and 20 of the top 25 players from the Rolex Rankings will be in attendance. Leading the field will be the number 1 and 2 ranked players in the world, Lydia Ko and Brooke Henderson. It will also include defending champion (#4 in world rankings) Lexi Thompson. 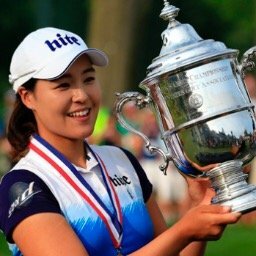 Players skipping this week's event include: Inbee Park, Stacy Lewis, Ha Na Jang, and Chella Choi. My accurate picking last week landed me in third place among the 20 participants. I continue to hold onto the number one spot for the year. Jenny Shin missed the cut at last week's KMPG Championship, halting her cut streak at 31. Lydia Ko, Brooke Henderson, and Ariya Jutanugarn, have now got to be considered the three best players on the LPGA. It is very interesting to note how much Lydia gives up off the tee, compared to her 2 rivals. Brooke Henderson is ranked 10th in driving distance, averaging 268 yards. Ariya Jutanugarn is ranked 14th (although she mostly uses a 2 iron off the tee), averaging 266 yards. Lydia is ranked 118th, averaging just 247 yards. Lexi Thompson leads the tour with an average of 284. Brooke Henderson jumps all the way up to #2 in the world rankings. Ariya Jutanugarn jumps up from #10 to #7. Hee Young Park leaps up from # 67 to #46. 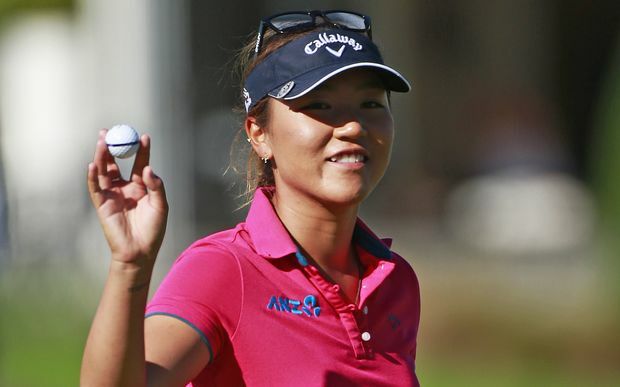 Lydia Ko continues to lead with 2,602 points. She is closely followed by Ariya Jutanugarn with 2,283, and Brooke Henderson with 1,969. Gerina Piller's move from #16 to #15 in this week's Rolex Rankings, puts her back on the Olympic Team as of now. There are still 4 more tournaments to be played before the teams are set. It is also worth noting that Karrie Webb (Australia) has lost her Olympic spot this week as she has been passed in the rankings by Su Oh. The International Crown teams have now been finalized. Click here for the complete list of the teams and players that have qualified. Brooke Henderson leads the tour with 10 top ten finishes. No other player has more than seven. 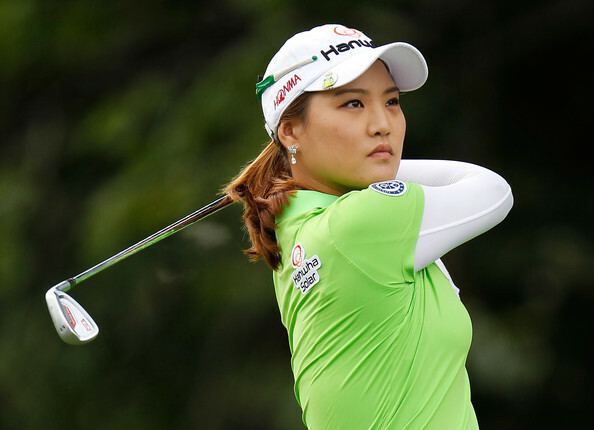 So Yeon Ryu has had 5 top ten finishes in her last 7 starts. She also leads the tour with 51 consecutive cuts made. Stacy Lewis is next with 27. Update #1 - Sally Watson (67) and Elizabeth Nagel are the local qualifiers added to the field.